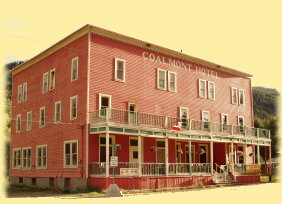 The Coalmont Hotel is located 18km outside of Princeton BC, along the famous Coalmont Road which continues on to Tulameen. This road is spectacular and goes through some slide areas, but thankfully it is cleared twice a day, and more frequently in the winter. Please be very watchful for wildlife. There is an unusual amount of deer along, and often on, the road. Directions from Princeton: From Highway 3, travel north on Bridge Street and cross "The Brown Bridge" then turn left toward Tulameen. The highway winds along until it gets to Coalmont where it makes a sharp left turn and the Hotel is visible a few feet along from there. 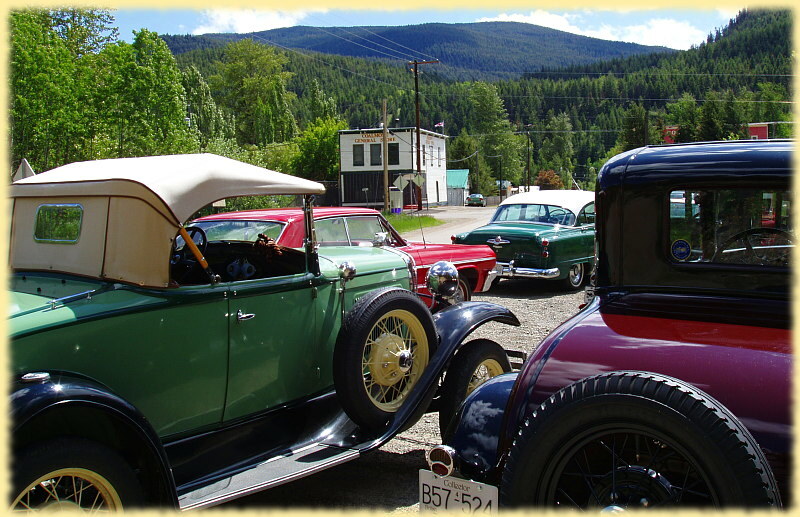 This is also the point at which the highway crosses the Kettle Valley Trail. If you wish to learn more about Coalmont, please visit the Coalmont Community web site. A nice little pictorial history can also be found on the Coalmont Centennial web site.